Sum Studios and Heeley Development Trust are very sad to announce that Lillian Haywood passed away this weekend. Lillian was a Heeley resident all of her life, and was a very important part of this community. She was a former pupil at Anns Grove School (now Sum Studios) and was late a School Governor. In more recent years, Lillian was the driving force behind the Heeley History Group. 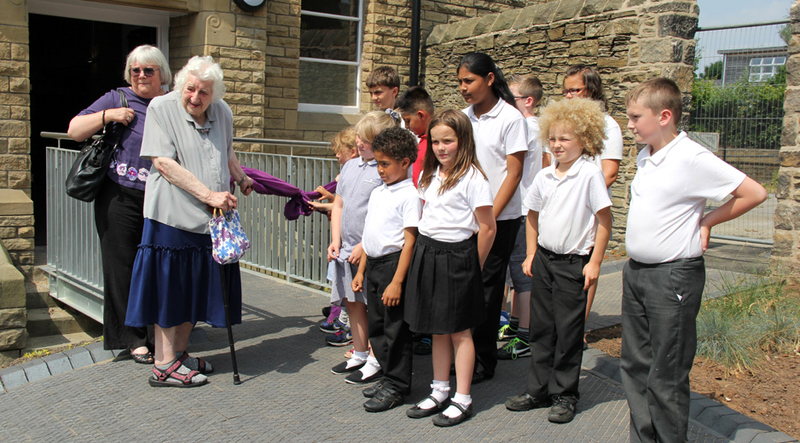 The image here shows Lillian kindly opening Sum Studios in June 2013, with children from the new school.